Solar Shingles offer homeowners an aesthetically pleasing way to generate their own cost saving solar electricity! If you're looking to implement solar electricity but don't like the way solar panels look when installed on your roof, then you should look into solar roof shingles. 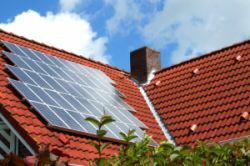 One of the key advantages of solar power shingles is that they blend in with the existing structure. Unlike solar panels, which look like big boxes tacked on top of your roof, solar power shingles fit in seamlessly with conventional shingles making them much more visually appealing. Not only do solar powered shingles blend in with the conventional shingles, they are an integral part of the roof since they actually replace some of the conventional shingles. They protect your roof like conventional shingles but with the added advantage of also generating electricity. And because they are replacing conventional shingles, this offsets some of their costs since you won't need conventional shingles for the areas of the roof that have the solar roof shingles. The costs of solar roof shingles are also reduced compared to solar panels because you won't need to purchase additional solar modules and racking equipment. 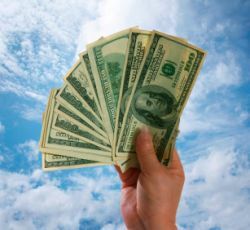 In addition, the installation costs are also lower compared to traditional solar panels. Solar roof shingles are classified as Building Integrated Photovoltaics (BIPV). BIPV refers to photovoltaic materials that are used to replace conventional building materials. For homeowners, the most common application is using solar powered shingles, but BIPV can also be used with window overhangs, windows (glazing), and walls. Solar powered shingles are made using thin-film solar cell technology. 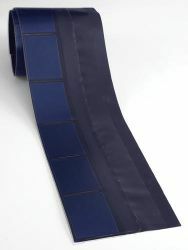 The solar cell is encapsulated in a weather resistant polymer and is shaped into the pattern of conventional shingles. Typically, they are 12 inches in width and 86 inches in length. When installed, 5 inches of the shingle width is exposed. Solar roofing shingles can be installed on roofs with at least a 3:12 pitch. They are installed just like conventional shingles and nailed to the roof with conventional roofing nails. The electrical bus of the shingle runs along a 1.5 inch area above the solar cells. It is important that when nailing the shingles to the roof that you don't damage this area, so carefully follow the nailing instructions that come with the shingles. Because the shingle wiring will need to run under the roof deck, a little planning is needed to ensure the wires will enter the roof between rafters. Using a template, holes are drilled through the roof for the shingle wires to be inserted and connected with the other shingles. Ideally, the location on the roof should be South-facing. If that's not possible, slightly East- or West-facing is OK, but the efficiency will not be as good. The shingles should not be installed on overhangs or other areas where you will not be able to access the wiring below the roof deck. 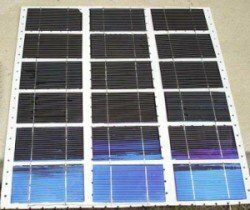 If you're looking for an aesthetically pleasing alternative to solar panels, solar shingles may be your solution.